PT Jasa Marga (Persero) Tbk is Indonesia’s largest toll-road operator and is also engaged in construction of toll roads, with an 80% market share of transactions. It is a 70% state-owned enterprise (SOE). It runs 22 toll roads through the group. Most of the toll roads are located in the densely populated Greater Jakarta area of West Java. 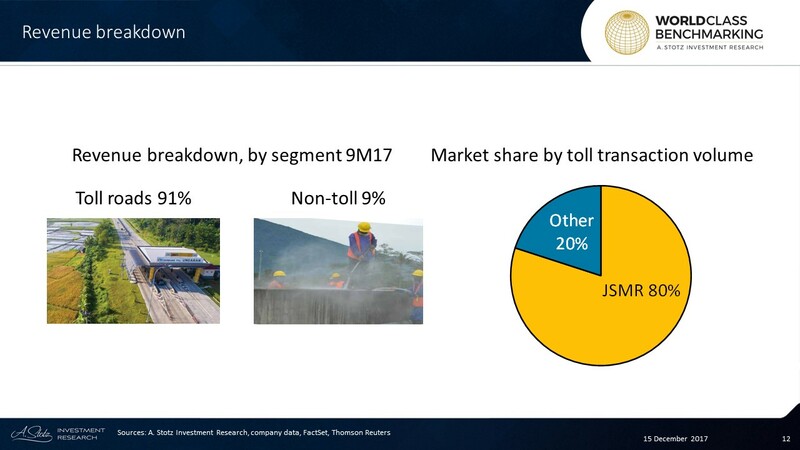 JSMR plans, builds, operates and maintains toll roads in Indonesia; it has the largest market share of toll road transactions in the country at 80% and about 60% of the toll roads in operation. The group is a 70% state-owned enterprise (SOE). The majority of revenue is derived from tolls, with only 9% accounted for by maintenance services, rest areas and properties on toll roads. The toll roads business involves both the construction and the operation of toll roads, mainly in the Greater Jakarta area of West Java, Indonesia’s most densely populated area. Indonesian public spending is being focused on this particular kind of infrastructure, with ongoing long-term plans for more toll roads to be built. Regular bi-annual toll hikes, which allow greater revenue growth, are permitted by the government. While some of these hikes had been previously delayed as certain roads needed more maintenance, they are now looking more likely. Refly Harun was appointed the role of independent President Commissioner of JSMR in 2015. He also currently works as a consultant at Constitutional Law at Refl Harun & Partners. He obtained his Bachelor’s Degree from the Faculty of Law Gadjah Mada University, Indonesia. He also holds Master of Law from Faculty of Law at the University of Indonesia, and LL.M. (Master of Law) from University of Notre Dame, USA. Desi Arryani was promoted to President Director of JSMR in 2016 from Operations Director, of which she served since 2013. She received her Bachelor’s Degree in Civil Engineering from the University of Indonesia and her Master’s Degree in Management from Prasetya Mulya, Indonesia. Profitable Growth has ranked #5 since 2014. 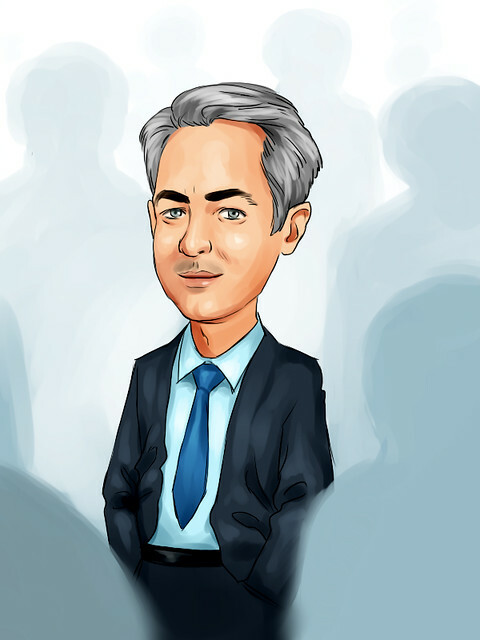 JSMR ranked better than 740 of 1,480 large Industrials companies. 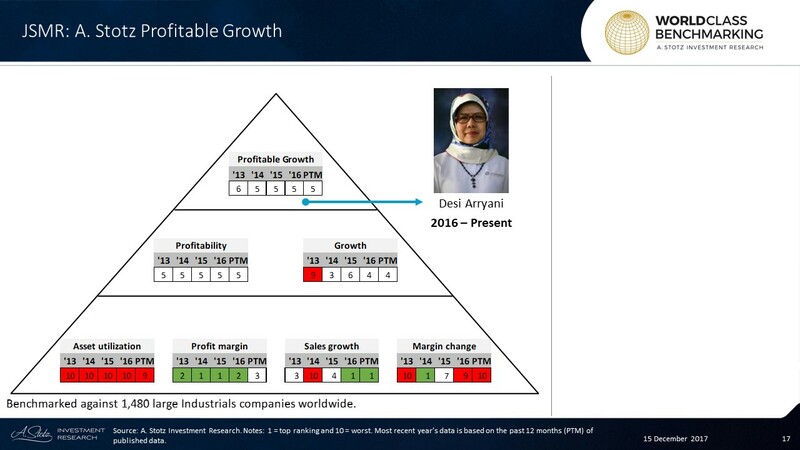 Profitability has been stable at #5 since 2013, Growth has improved to #4 from being ranked as low as #9 in 2013. Asset utilization has ranked poorly since 2013 and ranked at #9 in the past 12 months. Profit margin has been great, however, it fell out of the green to #3 in the past 12 months. Sales growth improved to the best in 2016 and maintained its rank in the past 12 months, while Margin change has been in a downward trend since 2014.